These little piggies are all over Chi-town. Go hog wild and check 'em out at Writers Theatre AND as artists in residence at one of our favorite little venues for live tunes, Schubas. They'll be rockin' the joint every Monday in October & November. We'll be there for the press opening of the Writers Theatre's season opener on 9/12 and we'll have a review up shortly. 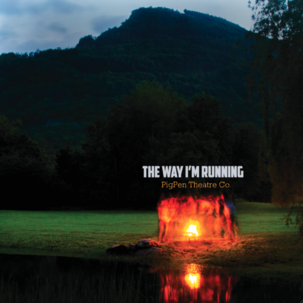 On October 8 award-winning, seven-member indie-folk band/theater troupe PigPen Theatre Co. releases The Way I’m Running, a five-song EP of all new material. Recorded in New York City with producer Ron Robinson Jr., the songs were conceived and arranged on the road as the band toured in support of their critically acclaimed debut album, Bremen, named one of the top 10 albums of 2012 by The Huffington Post. Something old... something new... The Old Man and The Old Moon is a NEW play that starts the NEW season of Writer's Theatre. This one's high on our must see list. Book your tickets in advance for the best seats. Previews are currently running. We'll be there to review for the press opening night 9/12.